Some PDF files might be protected by text or image watermarks. However, you might want to remove watermark from a PDF to reuse or edit the document. To do so, you need a PDF watermark remover tool. Here we will show you the easiest way to remove PDF watermark in one click, and also how to remove PDF watermarks in batches with PDFelement ProPDFelement Pro. The best way to remove watermarks from PDF files on Mac is to use PDFelement Pro. It is a powerful PDF watermark remover tool that allows you to directly remove watermarks in a PDF on Mac (macOS 10.14 Mojave, High Sierra, and Sierra). Follow the simple guide below about removing watermarks from PDF on your Mac OS X computer including MacBook Air, MacBook Pro, Mac mini, iMac, Mac Pro, etc. After you have installed and launched the PDF watermark removal tool, directly load the file you want to remove a watermark from by clicking the "Open File" button. Click the "Watermark" button on the right side menu. Next select the "Remove" option. You will be prompted to either save the PDF document or discard changes. To permanently remove the watermark from the PDF on Mac, save the file with the watermark removed for future use. 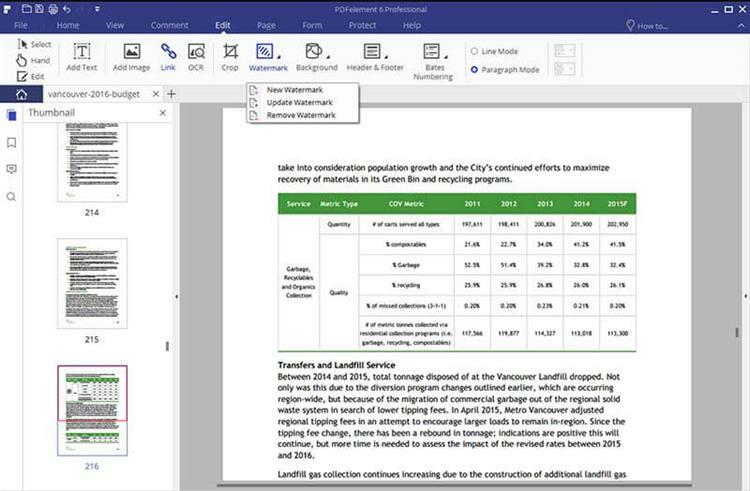 You can use the PDF watermark removal tool within the program without needing to convert the PDF to a text or word file first. And you can batch remove PDF watermarks from multiple files as well. 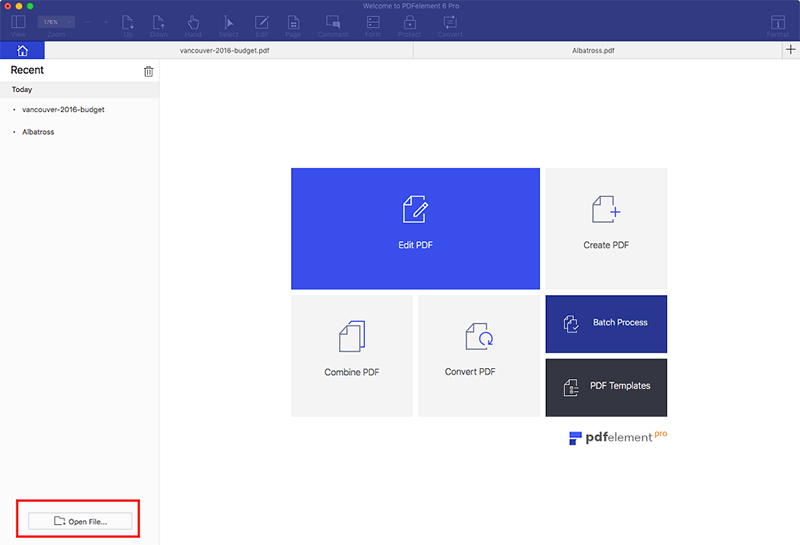 In addition to adding and deleting watermarks in PDF, you can also use PDFelement ProPDFelement Pro to merge, split, crop, rotate, annotate, and sign PDFs, plus much more. Download the program to explore more amazing features. Easily remove watermarks from PDF documents and batch remove watermarks from PDF files as well. Allows you to add a text or image watermark to your PDF. 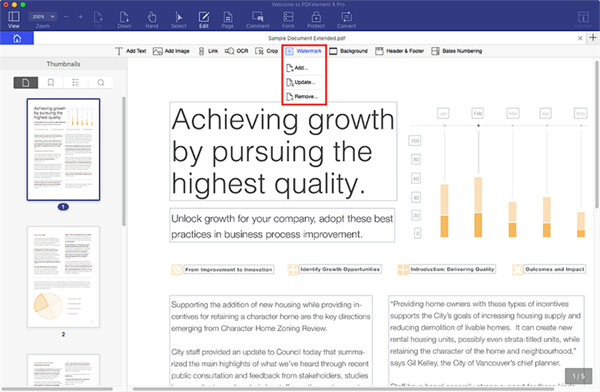 Use multiple PDF editing tools, and markup and annotate your PDF easily. Convert PDF to Word (Microsoft Word 2004-2016) with original formatting. 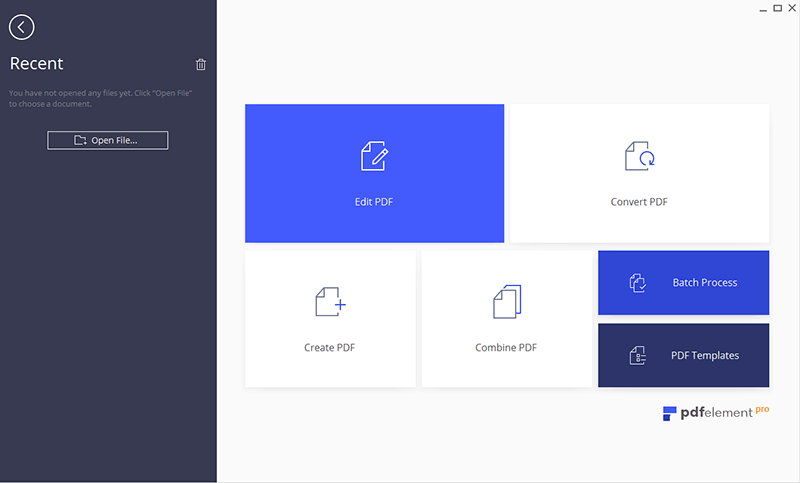 Create PDF from existing PDFs, images, text, and other formats. If you are running on a Windows system, you need a PDF Editor to remove the watermark from your PDF file on Windows. Fortunately, PDFelement ProPDFelement Pro also acts as a professional PDF watermark removal tool for Windows that allows you to remove a watermark from a PDF on your device, including the new Microsoft Windows 8 system. Aside from removing watermarks from PDF, this PDF editing software also allows you to make more modifications to your PDF files, such as encrypt PDF files with a password, convert PDF to various document formats, create PDFs from multiple file types, annotate PDFs, and more. After you have successfully downloaded and installed the Windows PDF watermark remover, click the "Open File" button to load the file that has a watermark. Click the "Edit" tab and then find the "Watermark" option on the top toolbar. Click on it and then select "Remove Watermark" from the submenu. The watermark will be immediately removed from the file. 1. What is a Watermark? A digital watermark enables you to protect your personal documents from being copied by others. PDF Watermarks are usually added to PDF files as text, images, page numbers, dates, signatures, logos, and more. Google Docs (known as Google Drive) is a PDF manager which allows you to convert PDF to Microsoft Word format. Once converted, open the output Word document with Google Docs or Microsoft Word to see the watermark displayed. Remove the watermark in Word. Once this is complete, convert the Word doc to PDF again, and then save the file. This process works but it is a bit tedious and complex. We suggest an alternative like PDFelement Pro or iSkysoft PDF Converter Pro instead. 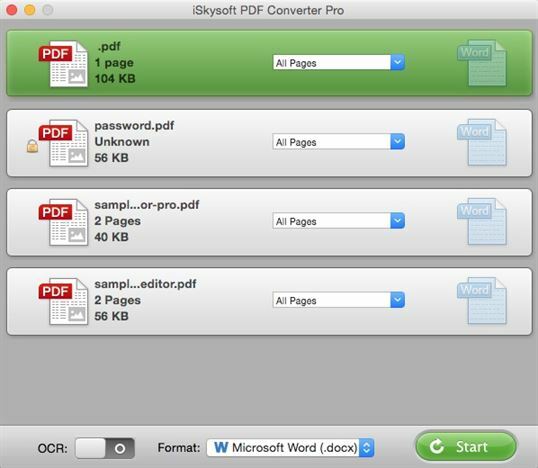 When you need to convert PDF to other formats, you can use iSkysoft PDF Converter Pro for Mac (or iSkysoft PDF Converter for Windows). This is an easy-to-use PDF converter that allows you to simply drag your PDF files into the program and convert them to Word, Excel, PPT, EPUB and other formats. Convert PDF to Microsoft Office formats and other formats. Support batch and partial converting of PDF files. Convert PDF files while retaining 100% of the original formatting. The OCR feature helps you to convert scanned PDFs.